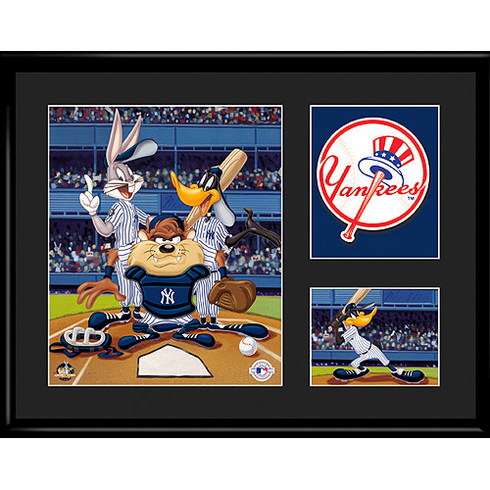 Each Limited Edition Lithograph features three Looney Tunes characters (Bugs Bunny, Daffy Duck and Taz) in your favorite Major League Baseball team's uniform behind home plate. Daffy Duck batting is also featured in the lithograph. Along side the Looney Tunes is the team logo. Frame measures 14.25" x 11.25". Only 5,000 made for each team, certificate of authenticity included.